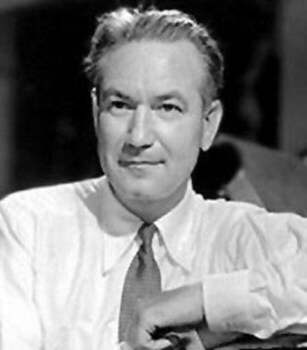 Victor Fleming was an American film director who became a master of action movies during the silent era and a maker of elegantly crafted and entertaining Hollywood classics in its Golden Age. He was a consummate storyteller and craftsman and drew extraordinary performances from a wide range of actors including Clara Bow, Jean Harlow, Clark Gable, Spencer Tracy and Ingrid Bergman. Fleming was the sole credited director on 'The Wizard of Oz' and 'Gone with the Wind' in 1939-the latter for which he took the Best Director Oscar. Both stand as lasting achievements of Hollywood's Golden Age. However, he was a hired hand, replacing other directors such as Richard Thorpe and George Cukor in mid production, and he himself was replaced by uncredited filmmakers King Vidor and Sam Wood for crucial sequences. So although his reputation is secured by these credits alone, he still remains an unsung hero to many. Victor Fleming was born Victor Lonzo Fleming in La Canada, California on February 23, 1889. His father was a citrus farmer who died when Victor was four. Victor, his mother and two younger sisters went to live with his mother's brother, Ed Hartman, in San Dimas, east of Los Angeles. Hartman was also a citrus farmer. Within a few year's Victor's mother remarried to a comfortably off water-well owner and life started to become much easier for the family. The young Victor was an outdoor enthusiast, working on his uncle's ranch and becoming and expert shot shooting at rattlesnakes and gophers. He attended the Polytechnic High School in Los Angeles and graduated in 1905, aged 16. The young man ignored his family's wishes for him to become a teacher or civil engineer. He was drawn to automobiles, then a rarity on the roads of California, and his first jobs reflected this. In 1905 he was employed as a machinist with Whitesell and Co, one of California's first auto companies. He then became a taxi driver and then a mechanic at the Los Angeles Motor Car Company, a dealership for the Locomobile marque. Fleming drove a Locomobile in his only documented professional road race, at Santa Monica, in 1909. He made useful contacts during his years with cars. He met met future director, Marshall Neilan who alternated acting and chauffeuring and who knew the up-and-coming D. W. Griffith. Neilan introduced Fleming to another future director, Allan Dwan who, in 1912, took him on as a camera assistant at the Flying A Studios. He soon rose to the rank of cinematographer, working with both Dwan and Griffith gaining invaluable experience behind the camera. In 1915 he followed Dwan to the recently formed Triangle Studios in New York where he again worked for D W Griffiths on, amongst other movies, 'Intolerance' in 1916, and on many of the films of movie superstar, Douglas Fairbanks. Working with Fairbanks gave Fleming a prestige he had previously lacked and in 1917, when America entered World War I, this would prove to be of crucial importance. Fleming ended up as chief cameraman for Fairbanks and when he joined the army Signals Corps in 1917, serving in the photographic section, he was assigned to be the chief photographer for President Woodrow Wilson at the 1918 Peace Conference in Versailles, France. Before that he made training films and worked in the photographic department of military intelligence. On demobilisation Fleming re-joined Fairbanks at the newly formed United Artists, where in 1919, he shot the first release of the new studio, 'His Majesty the American' and, later the same year, made his first movie as director, 'When the Clouds Roll By', starring Douglas Fairbanks. His second directorial effort also starred Fairbanks, 'The Mollycoddle' in 1920, and, after directing Constance Talmadge in 1921 in 'Mama's Affair' his reputation as a resourceful and capable director was established. In 1922 Fleming joined Paramount Pictures and made a series of films including 'Anna Ascends' in 1922 and two adaptations of Zane Grey Westerns in 1923, 'To the Last Man' and 'The Call of the Canyon'. The Zane Grey Westerns were great commercial successes and Fleming's standing in the studio was markedly improved. His next movie, in 1924, 'Code of the Sea' had the addition 'A Victor Fleming Production'. Fleming continued making quality movies for Paramount for the remainder of the Silent period, including 'Empty Hands' in 1924, 'Lord Jim' in 1925 and 'The Way of All Flesh' and 'The Rough Riders' in 1927. When Talkies came in, he stayed on the A-list, directing Gary Cooper in his first big hit, 'The Virginian' in 1929, after which Fleming left Paramount. In 1930 he helped to make Constance Bennett a star in 'Common Clay' which became one of the highest grossing films of the year. His new studio was MGM which he joined in 1932 and where he maintained his reputation as a dependable and resourceful fix-it man. He was known as a tough guy who could stand up to the studios and get on with actors, which led to his many uncredited tidy-up shoots, such as on 'Red Dust' with Jean Harlow and Clark Gable in 1932. He also directed Jean Harlow in the successful 'Bombshell' in 1933. The rest of the decade proved a fertile time for Fleming with well received movies such as 'Treasure Island' in 1934, 'Captains Courageous' in 1937 and 'Test Pilot' the following year. He became something of a specialist at taking over projects and successfully completing them. In 1938 he directed a large part of 'The Great Waltz', in place of the credited director, Julien Duvivier and in 1939 he took over and completed his two most famous films. The original director of 'The Wizard of Oz' when filming started in 1938 was Richard Thorpe but he was fired after just two weeks as the movie lacked a fantasy element. (Thorpe would later make his mark with such movies as Elvis Presley's 'Jailhouse Rock' in 1957.) After George Cukor was brought in temporarily, Fleming took command and created the joyous spectacle which still captivates today. The original director of 'Gone with the Wind' was George Cukor who was fired by producer David O. Selznick shortly after filming had begun for apparent slowness and lacking a feel for the story. Fleming took over the shoot and, apart from an eighteen day period when Fleming was away due to exhaustion, and Sam Wood took over, he finished the movie and can be credited with saving the project from disaster. Of the many Academy Awards which the movie won, the Best Director Oscar went to Fleming. After this Fleming worked less often, and on more self-consciously big, awards-films suffused with a kind of pretentiousness not found in his earlier, breezier work. He made an entertaining but murky 'Dr.Jekyll and Mr. Hyde' in 1941 with Spencer Tracy, the John Steinbeck adaptation 'Tortilla Flat' in 1942, and the wartime fantasy 'A Guy Named Joe' in 1943. His last film was the slow-moving and expensive Ingrid Bergman version of 'Joan of Arc' in 1948 which received seven Academy Award nominations, winning two Oscars. Fleming was a tall, good-looking man with an air of self-confidence which women found very attractive. He had a string of affairs with many actresses, such as Clara Bow, Norma Shearer, Ingrid Bergman, Virginia Valli and Bessie Love and he was married twice. His first wife was Clara West Strouse, who was 16 when they married in 1909. Fleming was 20. The marriage was not a happy one and they divorced in 1915. His second marriage was in 1933 to Lucile Rosson. The couple had two children and the marriage ended with Fleming's death in 1949. Soon after completing Joan of Arc, on January 6, 1949, Fleming died suddenly from a heart attack. He was fifty-nine years old.